The ultimate 360° approach to youthful-looking eyes. This advanced eye treatment duo works day and night to target 360° eye concerns with its unique triple rollerball applicator that gently massages while helping brighten, smooth, firm and hydrate the eye area. Revitalize tired-looking eyes every morning with the Day pen to help brighten, firm and smooth the eye area. Infused with crushed white pearl and micro-algae, the Day pen helps deliver cooling hydration while improving the appearance of dark circles and puffiness. Renew eyes while you sleep with the Night pen. 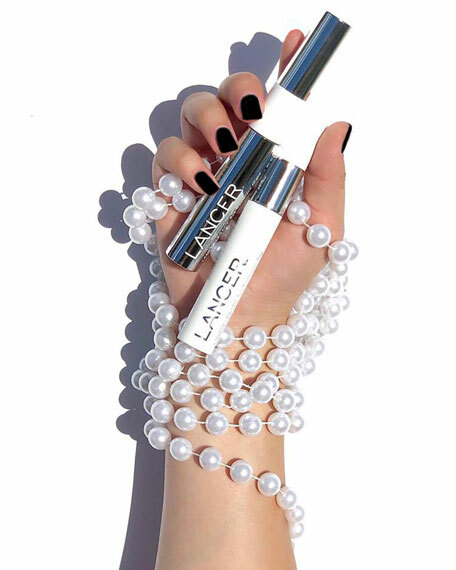 Formulated with crushed black pearls and Dr. Lancer's Youth GF Complex, the look of crow's feet, fine lines, and crepiness are softened, while leaving the eye contour looking firmer and intensely moisturized. 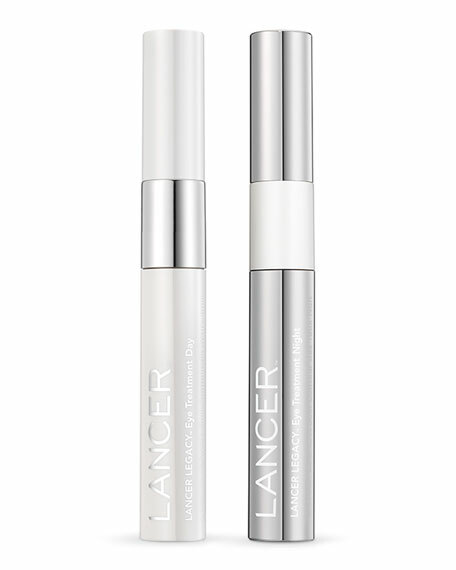 Use the Lancer Legacy Eye Treatment Duo daily, day and night, following the Lancer Method Polish and Cleanse. Twist the bottom half of the pen clockwise in two to three turns to dispense product. Gently roll applicator under the eye from the inner to outer corner. The Night pen can be applied above the eyelid to help firm if needed. Follow with Lancer Legacy Youth Treatment. Dermatologist Dr Harold Lancer of Beverly Hills created the Lancer Skincare products to assist in reversing the skin's aging process. Lancer Skincare, The Method's simplicity belies its remarkable ability to make skin look younger using a daily 3 step routine of exfoliating, cleansing and nourishing your skin. Whirl Trio Interchangeable Styling Wand Set: Tapered, 1", 1.5"